One of my co-workers has invited me several times to join him at I Luv Pho and, not being the biggest pho fan, I’ve passed. Today, he mentioned it again and I asked the question I should have asked the first time – “Do they have anything other than pho?” The answer was a resounding “yes” and off we went. The menu was broad (covering both the front and back of a place mat) and had many choices other than pho. But it is their “pho”cus. 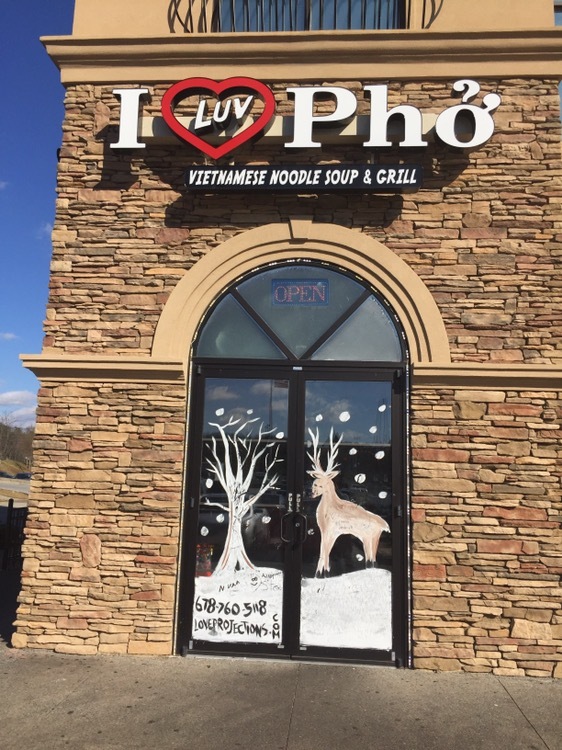 Only at “I Luv Pho”, you will find the original Vietnamese noodle soup with the profesional services. Especially, all foods are prepared on-site with an emphasis on organics and freshness. I preferred the chicken, but both were very tasty and amply sized for sharing. 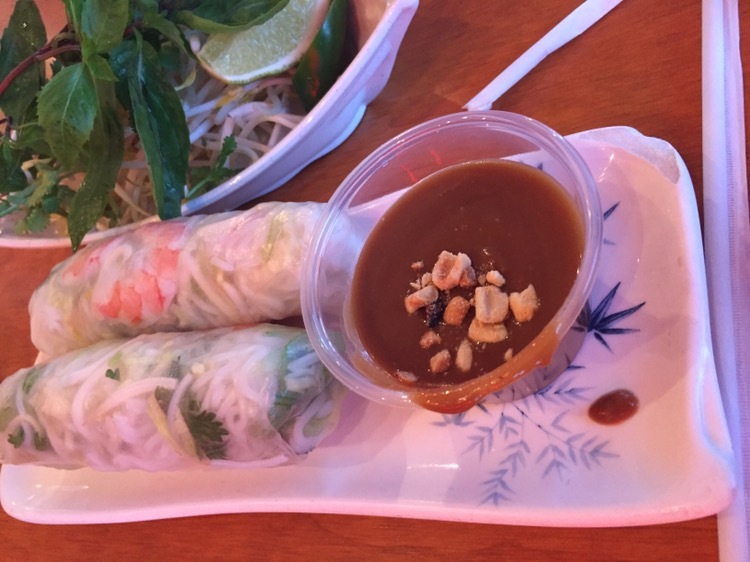 And they do not skimp on the peanut sauce. 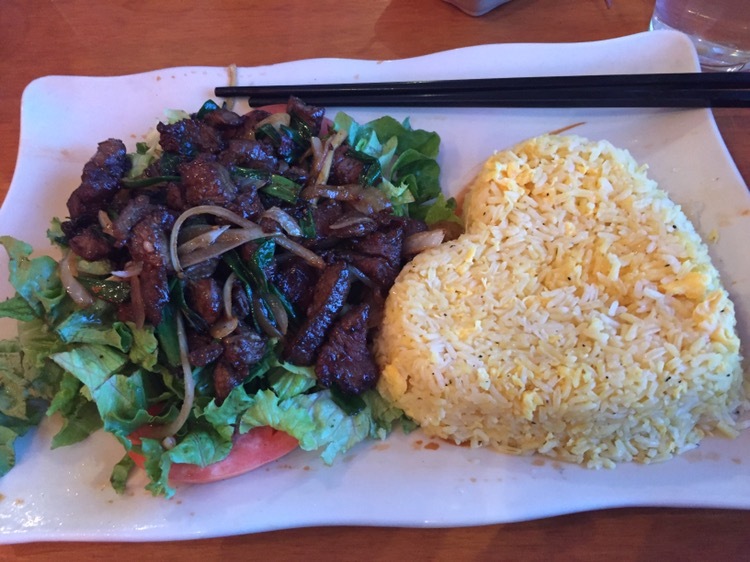 They definitely had more than pho, but I struggled to find what I was looking for: my favorite Vietnamese dish – shaking beef. 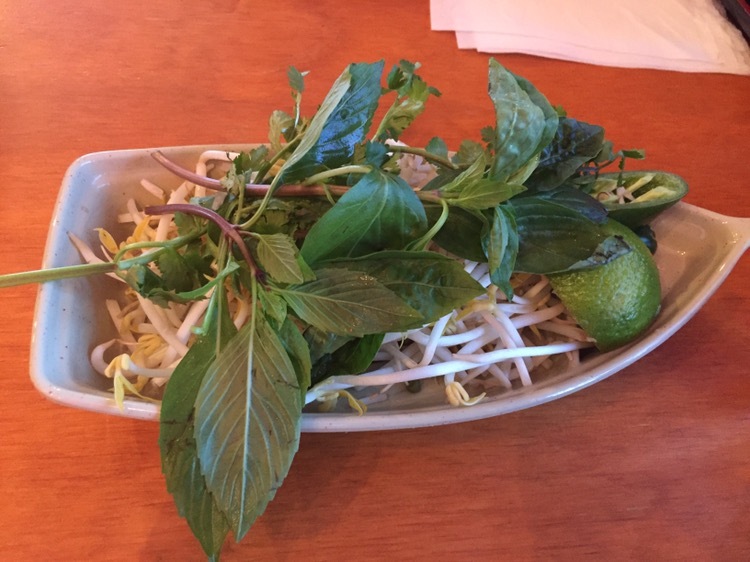 Ultimately, I googled the dish, found the Vietnamese name for it and showed it to the waiter. He immediately pointed me to the middle bottom of the back of the menu. Success! This dish seems so simple – beef, seared in oil in a very hot wok, in a sauce of fish sauce, soy sauce, rice wine vinegar and sugar, with onions and scallions, tossed (or shaken) together and served on a bed of lettuce (and, in this case, tomatoes), with rice. But it is so tasty – some times the simplest things are. It is served with a small container of salt and pepper with a slice of lime, which is used to make your own dipping sauce for the beef. This was well prepared and seasoned perfectly. I won’t hesitate to return when invited again.